2018 Pass Rates South West.The best test centre to pass your driving test. The official 2017-2018 DVSA test pass rates and addresses for your local driving test centres South West England. Date updated: 12th November 2018. Please remember to check your confirmation letter or email for any changes to your South West practical test centre address prior to your test. Cornwall DVSA Practical Driving Test Centres. Bodmin Practical Driving Test Centre. Male toilets only. Car parking is available at this centre. Arrangements can be made at this test if you have a disability. Driving Test Pass Rates Bodmin Driving Test Centre. New 2017-2018 Car 44.6% or you can increase this to 69.6% by using The Secret* Click here for information on how to pass your driving test 1st time by using DVSA ADI devised The Driving Test “SECRET”. Isles of Scilly Practical Driving Test Centre. This is an occasional Test Centre. It operates at least once per week and tests are booked as per normal. Launceston Practical Driving Test Centre. Please note there are no toilets at this test centre. There are parking spaces at this centre. Driving Test Pass Rates Launceston Driving Test Centre. New 2017-2018 Car 53.7% or if you really need to pass you can increase this to 78.7% by using The Secret* Click here for information on how to pass your driving test 1st time by using DVSA ADI devised The Driving Test “SECRET”. Penzance Practical Driving Test Centre. Parking spaces are available. Toilets are available to use in the town hall. Driving Test Pass Rates Penzance Driving Test Centre. New 2017-2018 Car 51.4% or this could be increased to 76.4% by using The Secret*. Click here for information on how to pass your driving test 1st time by using DVSA ADI devised The Driving Test “SECRET”. Camborne L + LGV Practical Driving Test Centre. Wilson Way Redruth Cornwall TR15 3RP. Driving Test Pass Rates Camborne Driving Test Centre. New 2017-2018 Car 46.8% or if you really want to pass you can increase this to 71.8% by using The Secret*. Click here for information on how to pass your driving test 1st time by using DVSA ADI devised The Driving Test “SECRET”. 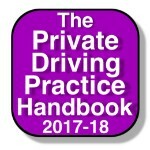 Devon DVSA Practical Driving Test Centres. Barnstaple Practical Driving Test Centre. Unit 1a Benning Court off Riverside Road, Pottington Industrial Estate Barnstaple EX31 1AB. Driving Test Pass Rates Barnstaple Driving Test Centre. New 2017-2018 Car 46.6% or you can increase this to 71.6% by using The Secret*. Click here for information on how to pass your driving test 1st time by using DVSA ADI devised The Driving Test “SECRET”. Exeter MPTC Practical Driving Test Centre. Thoverton Road Marsh Barton Devon EX2 8FS. Driving Test Pass Rates Exeter Driving Test Centre. New 2017-2018 Car 48.5% or increase this to 73.5% by using The Secret*. Click here for information on how to pass your driving test 1st time by using DVSA ADI devised The Driving Test “SECRET”. Newton Abbot Practical Driving Test Centre. Driving Test Pass Rates Newton Abbot Driving Test Centre. New 2017-2018 Car 50.5% or increase this to 75.5% by using The Secret*. Click here for information on how to pass your driving test 1st time by using DVSA ADI devised The Driving Test “SECRET”. Plymouth MPTC Practical Driving Test Centre. Ernesettle Lane Plymouth PL5 2EY. Driving Test Pass Rates Plymouth Driving Test Centre. New 2017-2018 Car 40.5% or if you really need to pass you can increase this to 65.5% by using The Secret*. Click here for information on how to pass your driving test 1st time by using DVSA ADI devised The Driving Test “SECRET”. Dorset DVSA Practical Driving Test Centres. Bournemouth Practical Driving Test Centre. 21/23 Gillam Road Northbourne Bournemouth BH10 6BW. Driving Test Pass Rates Bournemouth Driving Test Centre. New 2017-2018 Car 54.1% or by using The Secret you can increase this to 79.1%*. Click here for information on how to pass your driving test 1st time by using DVSA ADI devised The Driving Test “SECRET”. Dorchester Practical Driving Test Centre Dtc. 66 Peverell Avenue West Poundbury Dorchester DT1 3SU. Driving Test Pass Rates Dorchester Driving Test Centre. 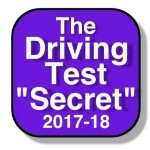 New 2017-2018 Car 64.2% or increase this to 89.2% by using The Secret*.Click here for information on how to pass your driving test 1st time by using DVSA ADI devised The Driving Test “SECRET”. Somerset DVSA Practical Driving Test Centres. Chippenham Practical Driving Test Centre. Unit 11 Cavalier Court Bumpers Farm Chippenham SN14 6LH. Driving Test Pass Rates Chippenham Driving Test Centre. New 2017-2018 Car 44.7% or if you really need to pass increase this to 69.7% by using The Secret*. Click here for information on how to pass your driving test 1st time by using DVSA ADI devised The Driving Test “SECRET”. Taunton Practical Driving Test Centre. MPTC Unit L2 Off Venture Way, Crown Industrial Estate Taunton TA2 8RX. Driving Test Pass Rates Taunton Driving Test Centre. New 2017-2018 Car 56.4% or increase this to 81.4% by using The Secret*. Click here for information on how to pass your driving test 1st time by using DVSA ADI devised The Driving Test “SECRET”. Weston-Super-Mare Practical Driving Test Centre. Plot 11 Sunnyside Road North Industrial Estate Weston Super Mare BS23 3PZ. Driving Test Pass Rates Weston Super Mare Driving Test Centre. New 2017-2018 Car 55% or increase this to 80% by using The Secret*. Click here for information on how to pass your driving test 1st time by using DVSA ADI devised The Driving Test “SECRET”. Yeovil Practical Driving Test Centre. Suite 2 Abbey Manor Business Centre Preston Road Yeovil BA20 2EN. Driving Test Pass Rates Yeovil Driving Test Centre. New 2017-2018 Car 61.3% or increase this to 86.3% by using The Secret*. Click here for information on how to pass your driving test 1st time by using DVSA ADI devised The Driving Test “SECRET”. Bristol DVSA Practical Driving Test Centres. Bristol (Brislington) Practical Driving Test Centre. Government Buildings, Flowers Hill Bath Road Bristol BS4 5JX. Driving Test Pass Rates Bristol (Brislington) Driving Test Centre. New 2017-2018 Car 44.4% or if you really need to pass increase this to 69.4% by using The Secret*. Click here for information on how to pass your driving test 1st time by using DVSA ADI devised The Driving Test “SECRET”. Bristol (Southmead) Practical Driving Test Centre. 2 Concord Drive Southmead Bristol BS10 6PZ. Driving Test Pass Rates Briston (Southmead) Driving Test Centre. New 2017-2018 Car 50.2% or increase this to 75.2% by using The Secret*. Click here for information on how to pass your driving test 1st time by using DVSA ADI devised The Driving Test “SECRET”. Bristol (Kingswood) MPTC Practical Driving Test Centre. Siston Centre Kingswood Bristol BS15 4GQ. Driving Test Pass Rates Bristol (Kingswood) Driving Test Centre. New 2017-2018 Car 47.1% or if you really need to pass increase this to 72.1% by using The Secret*. Click here for information on how to pass your driving test 1st time by using DVSA ADI devised The Driving Test “SECRET”. Bristol (Avonmouth) Practical Driving Test Centre. Driving Test Pass Rates Bristol (Avonmouth) Driving Test Centre. New 2017-2018 Car 54.4% or if you really need to pass increase this to 79.4% by using The Secret*. Click here for information on how to pass your driving test 1st time by using DVSA ADI devised The Driving Test “SECRET”.